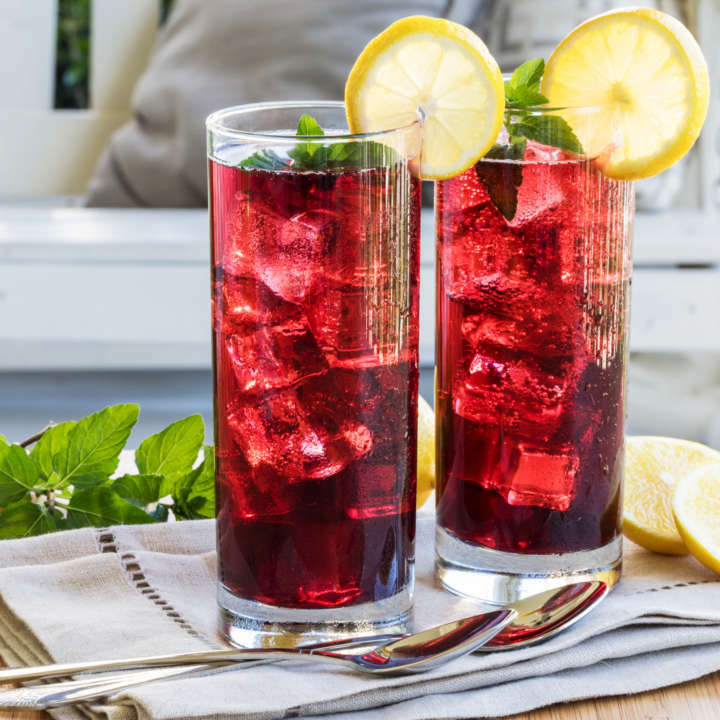 Making this uplifting iced tea has the added benefit of filling the kitchen with a lovely, spicy aroma. It’s equally tasty served with pastries or pizza. 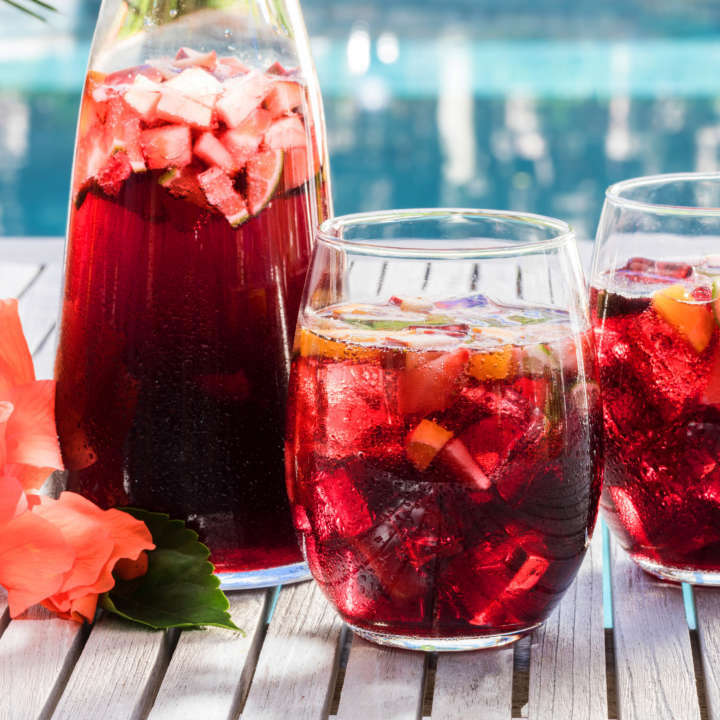 In a medium saucepot combine the orange and cranberry juices, sugar, cinnamon stick, and water. Bring to a boil, reduce heat to low, cover, and simmer for 10 minutes. Remove from heat, add the tea bag, cover and let stand for 5 minutes. Remove and discard the cinnamon and the tea bag. Serve chilled over ice. 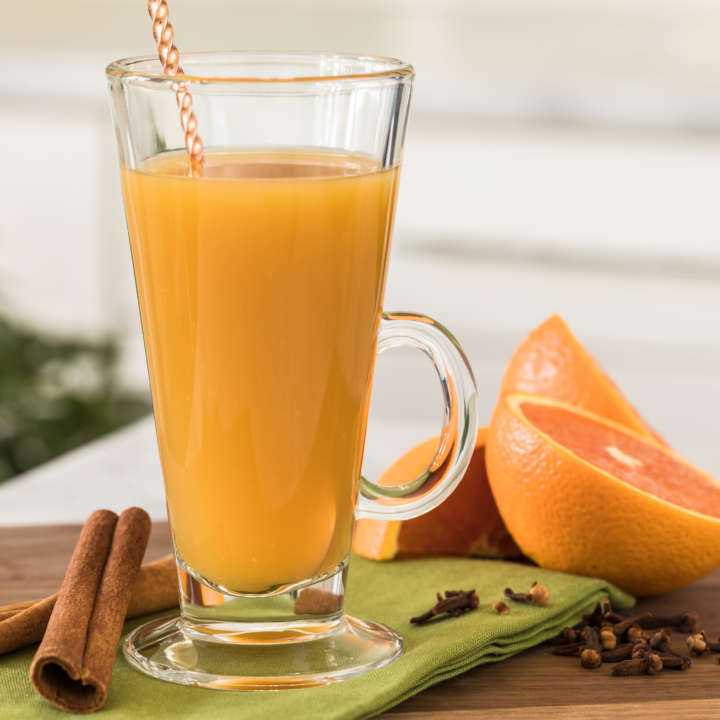 Garnish with orange wedges and cinnamon sticks, if desired. 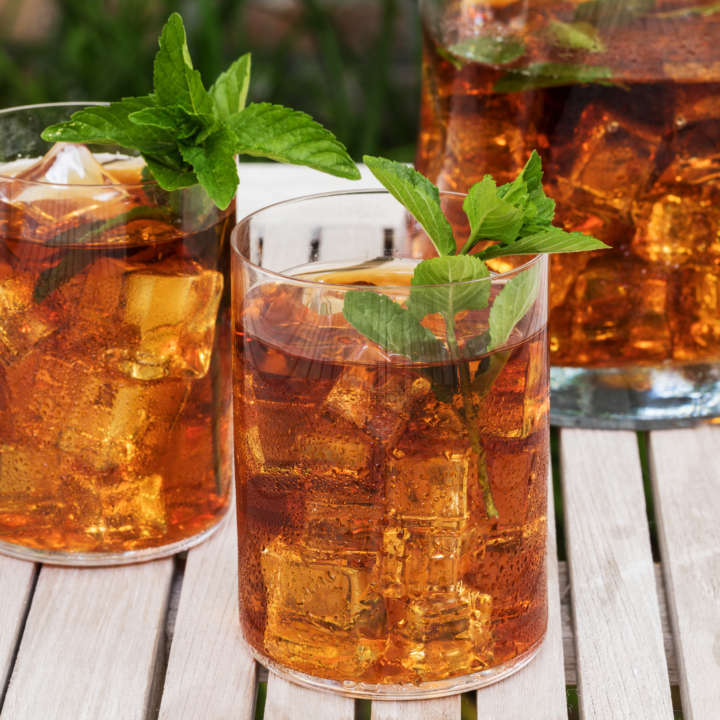 To make a feisty cocktail punch, add ¾ cup cinnamon whiskey to the chilled spiced iced tea.